Skipping my description here on experiments 4 & 5, moving to a new recipe on Experiment 6. I got back on my experiments of Baguette again, 3 times. Experiments 4 & 5 still results the same as 1 to 3. I think I need to rethink about the methods that I'm using, ie, a longer fermentation, perhaps different recipe. Since the results are almost the same, I'm not going to post it out. I went on to my Experiment 6 on 12 November, using a different recipe, from Ciril Hitz, Baking Artisan Bread. I started out making this in the morning at 9am, on the Poolish mix. 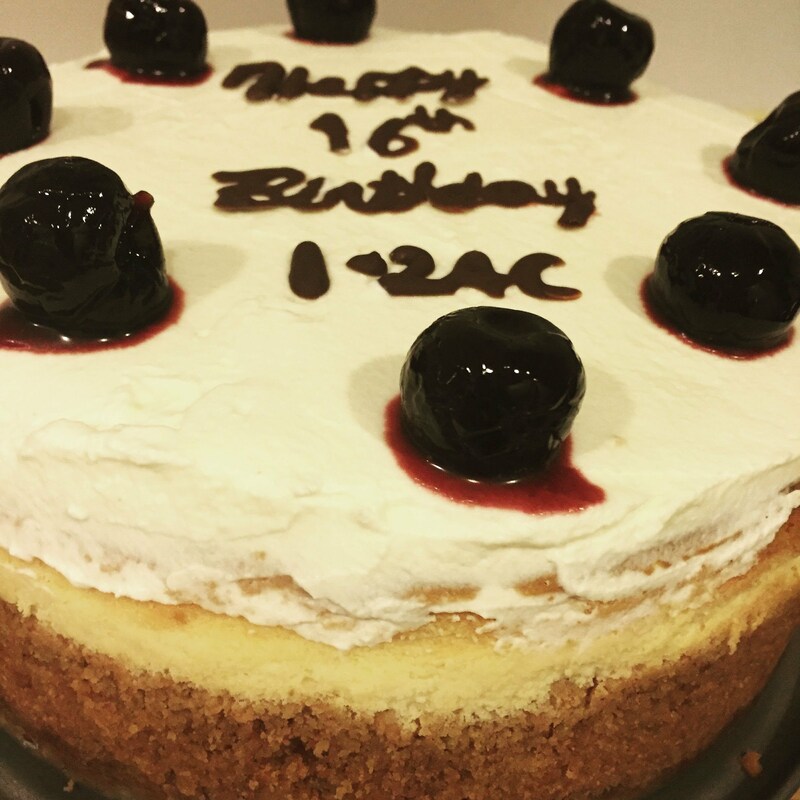 I needed 12 hours for it to ferment. The weather was 20 degrees celsius. So, I left the Poolish mix on the kitchen table top, bowl was put into a ziplock bag. As it was late, after shaping, I left it in the fridge to rise overnight. I took out from the fridge the morning and while my oven was heating up, I left it to rise more. 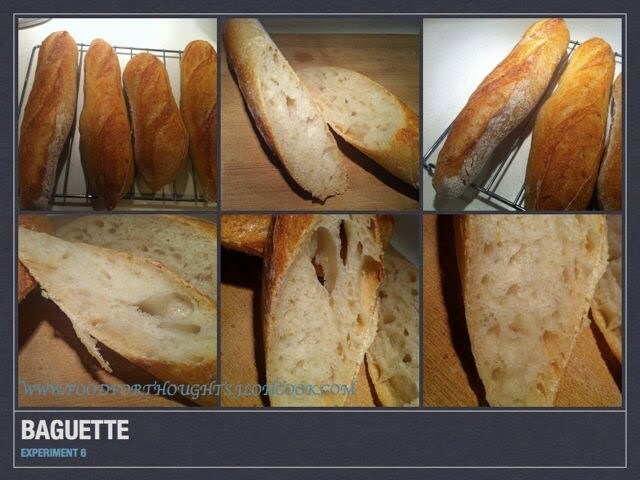 I always find it hard to gauge whether the dough is well proofed, at least for baguette. Anyway, it soften after the 1 hour. In the oven, to create more steam, I've decided to use besides the lava stones that I've placed in the loaf pan, I added a cast iron flat pan as well. This is to ensure that I get enough steam in the oven while baking. Preheat at 250 degrees celsius, adjusting it to 230 degree celsius after I loaded the dough. The oven spring was good, Baking 3 doughs was a little over crowded considering that my oven is not too big. The oven is also not evenly heated. The end that's closer to the back of the oven tends to darken faster and rise better too. I had to turn the dough 180 degrees 10 mins before the baking ends. The steam was removed after 10 mins into the baking. after 18 minutes, I had to turn the dough 180 degrees. Opening the oven door twice is just not a good idea. It loses a lot of heat. After 23 minutes, the baking was completed. 1. Opening the oven door - it seems that this time I didn't bake long enough or the oven lost too much heat when I opened the oven door. The crust looks lighter than usual. 2. Crust - I managed to get the light crispy crust, but still not as crispy as I would like. The bread sang a little after I brought it out, but not as much as I expected it to be. 3. Crumb - again, I think leaving it overnight in the oven is not a good idea. Its difficult to know whether I've overproofed or underproofed. Perhaps my shaping needs more work too. 4. Taste - still chewy. I think this is the flour. Probably need to change the flour type.